UPDATE: Mair has issued a response. "A formal response to Rep. Nunes’ pleading is forthcoming, but suffice it to say that I have a very different view on the applicable law (including the First Amendment) than Rep. Nunes," she said in a new statement. "Beyond that, I am disinclined to discuss the details of the lawsuit itself, since I am a defendant in it. 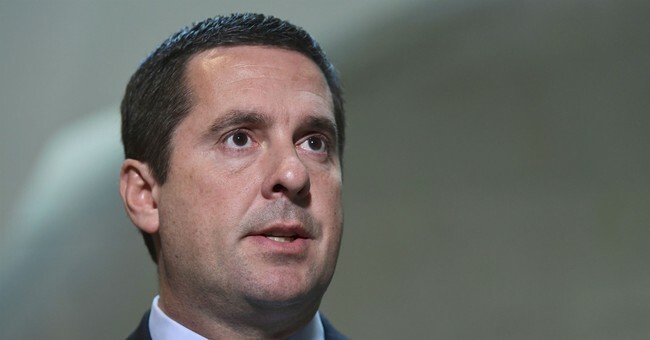 Rep. Devin Nunes (R-CA) on Monday filed a lawsuit against Twitter, Republican strategist Liz Mair and multiple anonymous accounts for "shadow-banning conservatives" in an attempt to influence the outcome of his 2018 Congressional reelection campaign. Nunes is seeking $250 million in compensatory damages and $350,000 in punitive damages in the lawsuit. He also wants Twitter to hand over the identities of numerous anonymous accounts, including @DevinNunesMom and @DevinCow, who he says harassed and defamed him. "Twitter created and developed the content at issue in this case by transforming false accusations of criminal conduct, imputed wrongdoing, dishonesty and lack of integrity into a publicly available commodity used by unscrupulous political operatives and their donor/clients as a weapon," the suit stated. "Twitter is 'responsible' for the development of offensive content on its platform because it in some way specifically encourages development of what is offensive about the content." The lawsuit seeks to hold Twitter equally accountable for the content because the social media platform "has a duty to exercise reasonable care to avoid hosting outwardly defamatory content," Fox News reported. As Twitter takes a more active role in censoring conservative content, they should be held responsible for the content they do allow on their platform, the lawsuit suggests. Twitter said they do not shadow ban people. "We do not shadow ban. You are always able to see the tweets from accounts you follow (although you may have to do more work to find them, like go directly to their profile). And we certainly don’t shadow ban based on political viewpoints or ideology," the social media platform said in a statement. Mair declined to comment, saying she has yet to read through the lawsuit. This post has been updated to include a statement from Twitter.